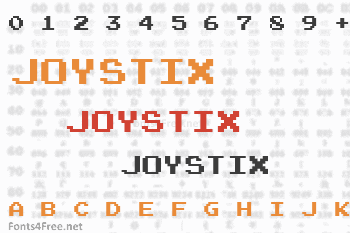 Joystix, the video game font has been upgraded. Accents have been replaced, punctuation and symbols have been added. It’s still monospaced and still free. Sometimes you need authentic, chunky arcade spacing but there are situations where refined, proportionally spaced headlines are the way to go. That’s why I made Joystix Proportional. It saves space too, so it’s better suited as a blog headliner than Joystix Monospaced. 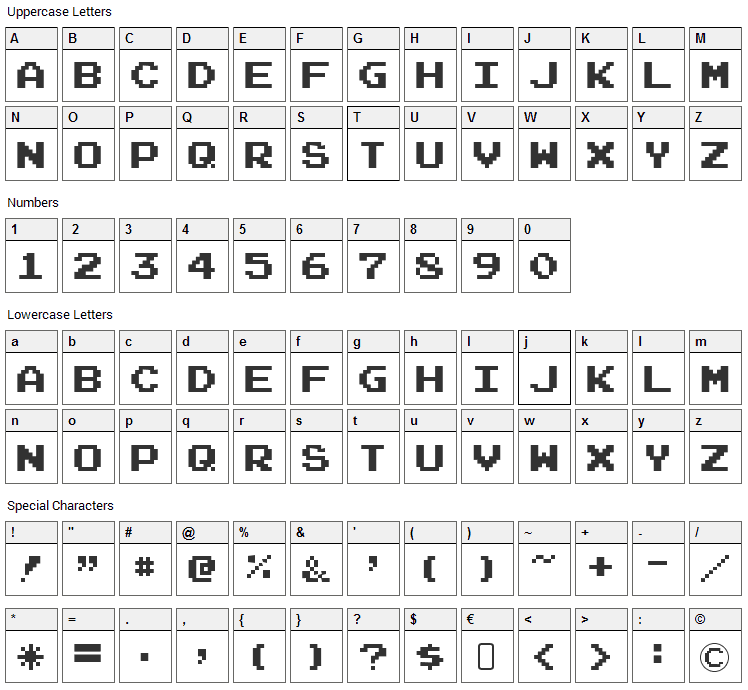 Joystix font contains 201 defined characters and 137 unique glyphs. 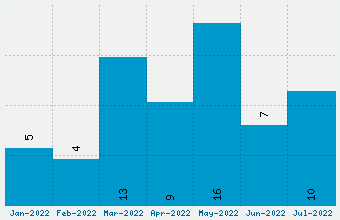 The font contains characters from the following unicode character ranges: Basic Latin (93), Latin-1 Supplement (77), Latin Extended-A (10), Spacing Modifier Letters (4), General Punctuation (13), Currency Symbols (1), Letterlike Symbols (1), Mathematical Operators (1). Joystix is a bitmap, pixel font designed by Typodermic Fonts. The font is licensed as Free. The font is free for both personel and commercial usages. In doubt please refer to the readme file in the font package or contact the designer directly from typodermicfonts.com.